A new working group has formed to advance Vermont’s Climate Economy. Founded by the Vermont Council on Rural Development (VCRD), the Vermont Climate Economy Action Team unites business and non-profit leaders in promoting economic growth in Vermont by leveraging the economic and business development opportunities that will flow from solving climate change challenges while creating jobs and boosting the prosperity of communities throughout the state. The group works on the premise that Vermont should be a uniquely attractive place to start, run, and invest in businesses that address climate change, and prosper doing so. The Vermont Climate Economy Action Team is dedicated to advancing initiatives to expand distributed energy generation and efficiency in Vermont and cultivate climate economy entrepreneurs and startup businesses, and attracting youth and creative entrepreneurs to the state. The Climate Economy Action Team follows from the work of the Vermont Climate Change Economy Council (VCCEC) and its Action Plan, “Progress for Vermont,” which was released at a statewide summit earlier this year. That event founded a growing Vermont Climate Economy Partnership, currently made up of 320 individuals, businesses, and organizations who have lined up to support the implementation of the plan. All Vermonters and Vermont businesses are welcome to join the Vermont Climate Economy Partnership by going to http://vtrural.org/programs/climate-economy. 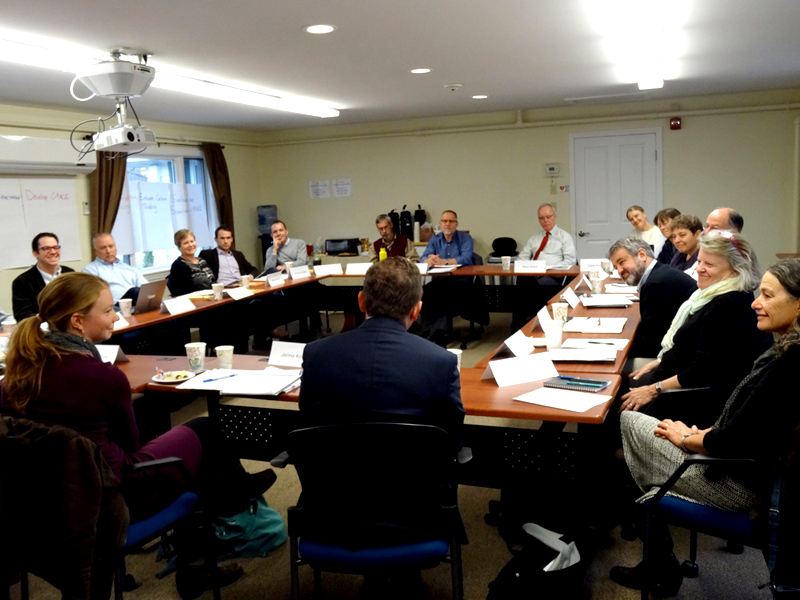 The Climate Economy Action Team will serve as the guiding board that sets direction and leads in collective action to advance Vermont’s climate economy agenda. VCRD defines the climate economy to include key sectors of distributed energy development, green building, efficiencies, and resource recycling. It also includes the resilient foundation of our working lands economy, the innovative problem solving of the digital economy, and is a feature in all manufacturing, tourism, and community development in the climate change era.